Not having found a decent pub in Harlow this one sounded good from the previous comments. 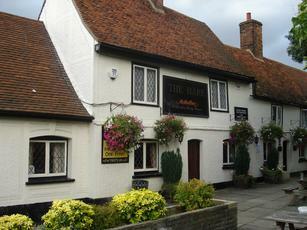 On a Saturday lunch time visit I found it to be cosy and clean and what looked like a new extension or refurbishment. There are 2 - 4 -1 meal deals to be had, but prices are reasonable anyway. My wife asked if she could have a 'bit' of salad instead of peas with her meal. An abrupt "No" came from the 'overweight' woman taking our order. "If you want salad you forfeit your chips." she continued most unapologetically. The food arrived quickly, was well cooked and very tasty. However, I probably will not be returning - not because of 'her' - but because it is a McMullen's pub. Only Mac's beer was available. When I asked if guest beers ever appeared? She barked.............well, I think you can guess what she said!! Can the brewery owners introduce a weekly guest ale, the only thing that lets this first class pub down. One of the few (or only) decent pub in Harlow. Still has a country atmosphere despite being 200 meters from the town centre. Usually has three real ales (although McMullen so can't win them all). Large garden to sit out in during summer. A really frindly landlord and helpful, pleasant staff. Great food, really massive portions at bargain prices. Also has a nice non-smoking area. Would go there again.